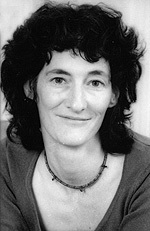 Carol has written for film and art publications in both the UK and the US. She has two sons and lives in Cambridge, MA. She became interested in her great-great-great uncle, Charles Russell Lowell, when his worn saddle bags, rusted sword and spurs turned up after her grandmother’s death in 1983. This is her first book. EDITING PROCESS: "Working with my editor was a great experience. I’ve described it as ‘like dancing with Fred Astaire.’ I felt like I was taken to a whole new level." INFLUENCES: "I’m a good mimic, and I read as if I were a thief. For this book: Herman Melville, Evan Connell, Patrick O’Brian, Jane Austen, Emily Dickinson."